Rated 4 out of 5 by mrm2006 from This Game Has It All...................... almost. 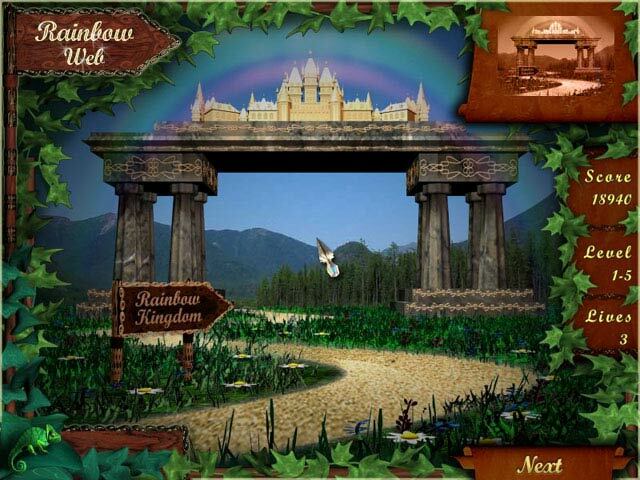 Storyline: The Evil Spider has shed his web over the Rainbow Kingdom and you, the hero, are the only one who can help bring the Rainbow Kingdom back to its colorful, happy glory. Graphics: Here's where I took away a star. The graphics in the match 3 portion of the game were wonderful. However, where it counted most - when the Rainbow Kingdom was being systemically restored - the colors were drained and dull. Very disappointing. Even the Rainbow, once restored, was dull and sad looking. Sound: Background was lilting and soft. Enjoyable. 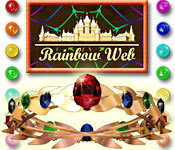 Game Play: Rainbow Web is a triple threat - it has it all. This is a match 3 game embedded in a word-type game embedded in a game of intense strategy. As in any match 3 game, you must match 3 or more ball colors to remove them from the web. However, there are also balls containing letters that MUST be removed from the web by making match 3s (or more) before time runs out. In order to do this, you must make strategical moves that will enable you to remove all those letters before time is up. One move can impact several different colored balls, as well as balls with letters. You must always be thinking several steps ahead. AMAZING GAME! If not for the poor graphics when rebuilding the Rainbow Kingdom, I would have given this game a solid 5 stars. It is not a purchase for me, only because I don't particularly like games of strategy. I prefer my M3s to be more relaxing. I do hope you will try the free demo. It's an hour of your time and, who knows, you may find that you are the king/queen of strategic, match 3, letter-word type games. HAPPY GAMING TO ALL! Rated 4 out of 5 by annyadely from Rainbow Web I really liked this game. My only complaint is when you run out of moves, rather than automatically reshuffling the board as other games do, this one takes away one of your lives. The beads are produced randomly which the player has no control over. Why are they then penalized for it? Can someone come up with a way to fix that? Rated 4 out of 5 by pepeters8 from Fun for all ages This game is very addicting once you get started. The story line keeps you interested. Rated 4 out of 5 by Twistedflower from Really good gameplay I have played the other Rainbow Web games, dismissing this because of the bad review score - and the really bad graphics meeting you when you open the game. But when I finally gave it a shot, I found out I really like it! 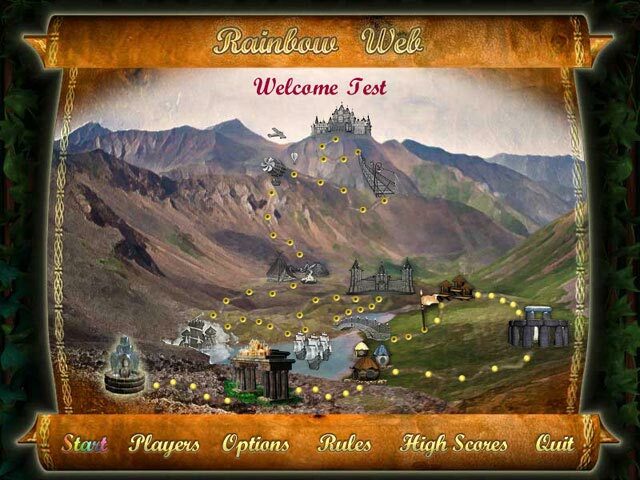 I'm in the middle of playing Rainbow Web III now, but to my surprise I find the gameplay better in Rainbow Web I. It is much more of a brainbender, especially since there is no power-ups (I always find them to be a bit like cheating anyway) AND a timer!! Jubii I don't get why people don't like timers, IMO it's much better with the challange. In RW III there are no timer and a hammer to remove pieces. So sad. They could at least give us who wants it the opportunity to have a hard time ;-) In RW I there is no easy way out. Not that this is an extremely hard game, don't worry, especially the first many level go by in a breeze. Later on you will probably be a bit pressed for time or run out, but you have 3 lives to get you through. I really recommend this game to people who want a bit of a brain challenge. The bad things: the graphics. As mentioned above, they are really oldfashioned. Also, unlike the other games in the series, you don't get to choose what to set free from the spiders spell. I miss that a bit, it's always nice to use the points you earn to something - an incentive to get more points. But still, it's really a nice little game. 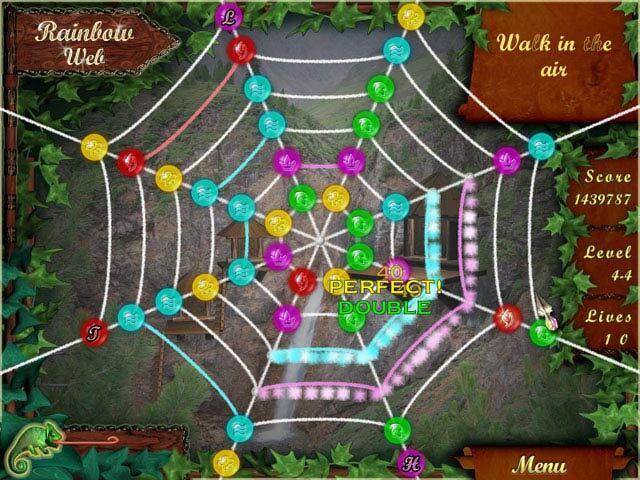 Rated 4 out of 5 by KingaroyJoy from Relaxing Match 3 with a difference This is a small (11.5MB) game that delivers a good story (although spiders get a bad rap -lol) and sustained challenging gameplay. There are no bells and whistles, and I really like that. Its refreshingly quiet, and simple, but it gets challenging quite quickly. There are no power ups or reshuffles to fall back on. You rely entirely on your wits. There is a classic (timed) and relaxed (untimed) mode. The music low in the background is OK, it keeps me alert. Full screen and windowed mode available. I find both quite useful. Graphics are very simple and suit the game. The only thing I don't like is when the game keeps suggesting moves, if it thinks you are taking too long to decide. There is a visual and an audio cue, and I find it annoying and distracting. Sometimes, especially towards the end, I'd soooo like to be able to knock a ball out (with a power up) to help make a match. This is the first in a series of 3 games that all have differing gameplay features. This first game is M3 only, but it doesn't feel too repetitive because each new playing field is different and presents unique challenges. I play late at night because it helps to unwind, and for filling in time between doing stuff. After 6 months its still fun to play. Rated 3 out of 5 by bessiegirl from Not as good as 3 I enjoyed Rainbow Web 3 so much I purchased this on a 65% off day. This one is good and gives you 2 levels of play one with a timer and one without. Unfortunately if you play without the timer you don't get to build the village which is part of what makes the game fun. When you play with the timer, it starts out easy but got so difficult by the time I got to level 5-4 I could simply go no further...I must have tried that level 8 times. If you don't make the right moves from the get-go, you are out of luck and there is no "hammer" to help you break through like there is in RW3. So my only option is to play the relaxed way and not build...which holds no fun for me. Glad I got it on a deal. Rated 3 out of 5 by Handsomeme from Nice little game with a twist! This being the first of the three Rainbow Web games, still shows a nice little game. It has both a Classic (timed) and a Relaxed (untimed) mode, and having played both, I can say that even if you choose the Relazed way of playing, you may be told that you've run out of time, on level 46, 47 and 48 and this happen even if there is no timer (in the shape of a chameleon) and you loose a life!! This came as a surprise really, as you're not expecting to run out of time in a untimed game, and then not having a clue in the form of a timer. The Chameleon. Rated 3 out of 5 by anneni from Anne I loveve the Web-games because you have to think a little bit more. Rated 2 out of 5 by Sardy from Annoying I was happy to see this game included a relaxed mode, as I hate being timed. The graphics were nice: not cluttered like so many of the "matching" games. However, after playing for half an hour I had to quit. I found the constant hint system to be completely annoying. Unless you make a move within a few seconds, it starts showing you a possible move. I do not like games that play themselves and I could not find an option that let you turn it off. If I missed it, I do apologize.